The Casina Valadier, a jewel of 19th century architecture set in the heart of Villa Borghese, will host the Italian exhibition of the famous American artist Seward Johnson. Its lounges and gardens will be the perfect setting for the 10 sculptures and 35 hand-painted service trays that make up the exhibition entitled “Art in the Landscape”. The building confirms itself as a place of tradition and innovation, in its work of revaluation aimed at rediscovering its environments and their beauty, this time choosing art as a paradigm. After the scenic lighting inaugurated in autumn 2017 and cutting-edge entertainment activities – such as the Immersive Show Dinner – here is now a surprising exhibition. “Just as the Immersive Show Dinner represents our group’s attention to technological avant-garde – declares Andrea Montefusco, GM of Casina Valadier – so this exhibition has the same aim, that of touching the strings of emotion, in this case through art and beauty”. The dichotomy between tradition and innovation can be seen in the choice of the “hyperrealist” artist Seward Johnson, who will fill the splendid gardens of the Casina Valadier with his life-size bronze sculptures of the series Celebrating the Familiar. The cycle of sculptures, known for their realistic character and meticulous attention to detail – the hallmark of the artist’s work – will depict ordinary people engaged in daily activities. There will be businessmen heading towards a meeting, a woman with shopping bags, a girl reading poems sitting on a bench, children playing. Each of these figures, which could easily be found in the gardens of the Casina, will thus be able to contextualize and enhance each space of the park. In a complementary way, inside the rooms of the building will be visible the collection of 35 service trays hand-painted series Midnight Snack, which best express the playful and playful character of the artist. Given the hobby of Seward Johnson, these art objects leave the United States for the first time to land in Europe. The hand-painted trays represent, in fact, the expressive outpouring of the artist; with their warmth, vibrant with contentment in the exploration of the artist’s memories, they become a complementary activity, but necessary to convey all the possible commitment in his activity as a sculptor. 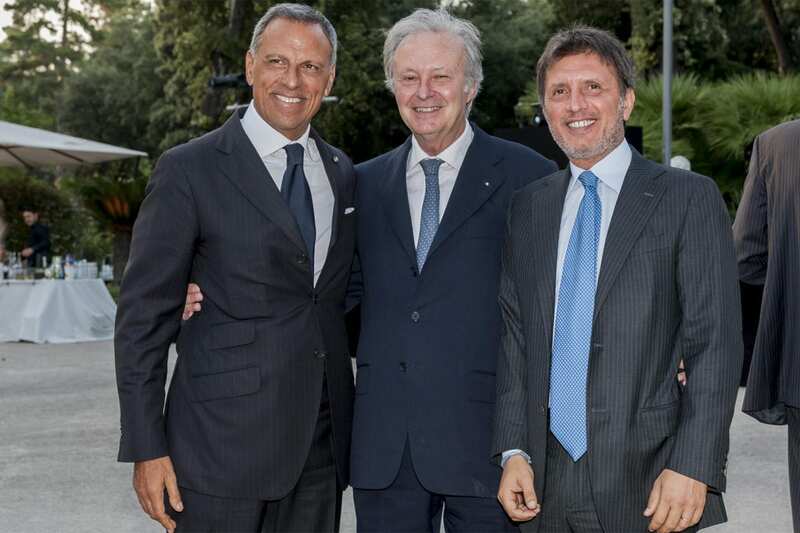 “When I saw for the first time in the United States the works of Seward Johnson – said Eduardo Montefusco, president of RDS – I immediately thought about the Casina Valadier, for an immersive and surprising exhibition, in the tradition of the new course that we have given to the management of this wonderful place in Rome. The international approach and cultural and spectacular entertainment are a mission and leitmotiv of the new era of the Casina Valadier. I am proud today to share with visitors to the Casina Valadier the discovery of the works of this wonderful artist”. “Quando ho visto per la prima volta negli Stati Uniti le opere di Seward Johnson – dichiara Eduardo Montefusco, presidente di RDS – ho subito pensato alla Casina Valadier, per una mostra immersiva e sorprendente, nella tradizione del nuovo corso che abbiamo dato alla gestione di questo meraviglioso luogo di Roma. L’approccio internazionale e l’intrattenimento culturale e spettacolare sono una missione e il leitmotivdella nuova era della Casina Valadier. Sono fiero oggi di poter condividere con i visitatori della Casina Valadier la scoperta delle opere di questo meraviglioso artista”.